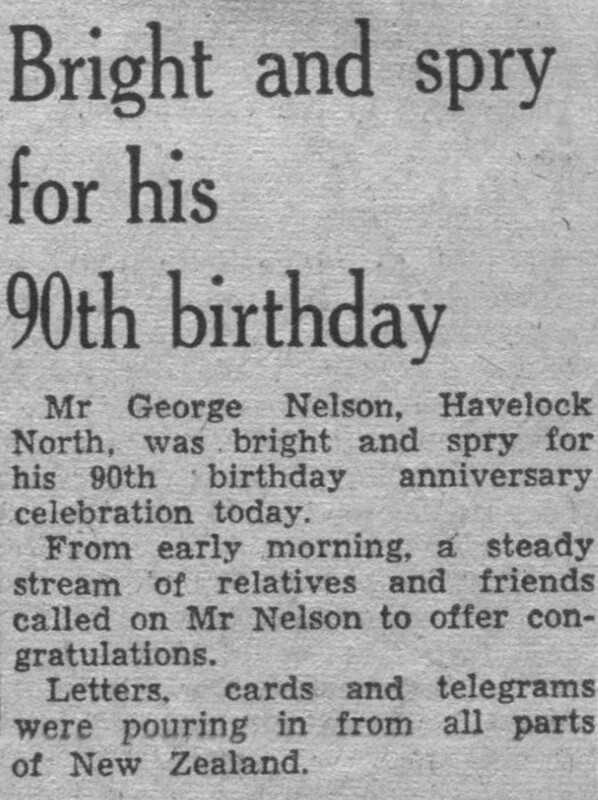 Mr George Nelson, Havelock North, was bright and spry for his 90th birthday anniversary celebration today. 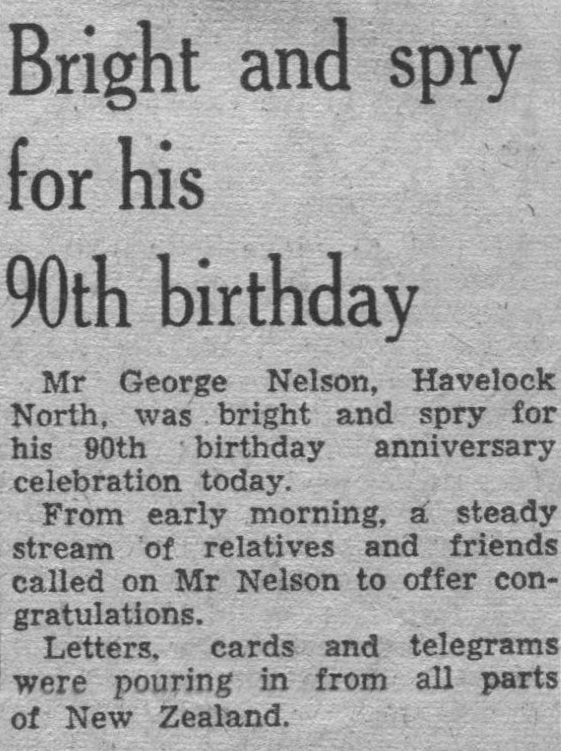 From early morning, a steady stream of relatives and friends called on Mr Nelson to offer congratulations. Letters, cards and telegrams were pouring in from all parts of New Zealand.